When you recruit A-Players and you are channelling a key talent acquisition strategy of Apple founder Steve Jobs. There’s a vast difference between talent that is simply qualified and exceptional. 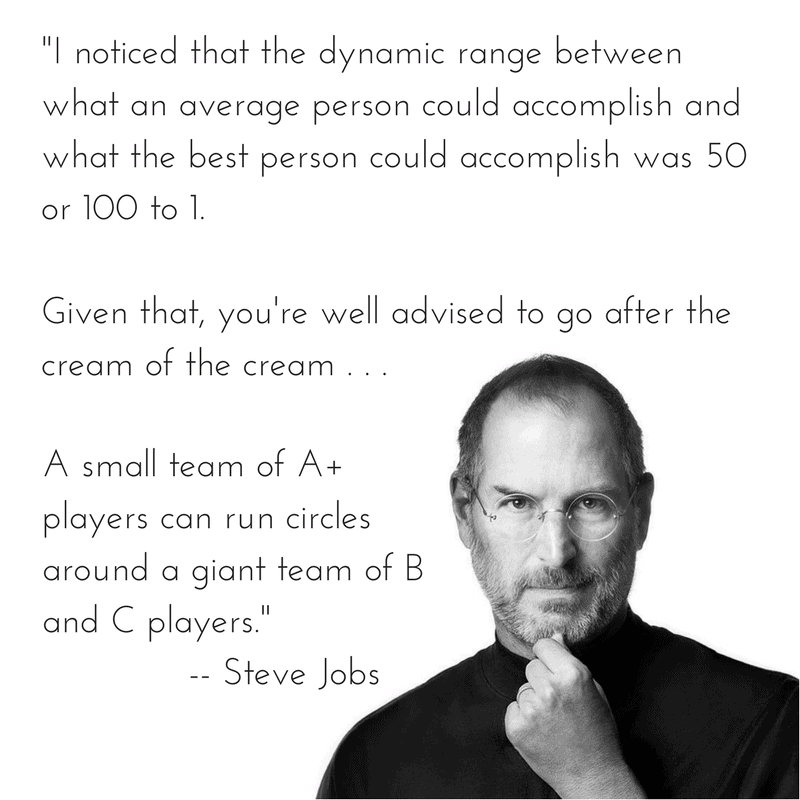 Jobs understood that, which is why he focused on the best-of-the-best senior executives and engineers. The Apple founder pursued the best executives and engineers because they could accomplish more. In addition, he noted that A-Players find it frustrating to work with people who churn out average or sub-standard work. They simply don’t have the chance to develop if they are surrounded by people who are not as accomplished. If you recruit the best, you attract and retain more of the best. At our retained executive search firm The Good Search, we also make it a practice to recruit technology rock stars and digital luminaries. I look for leaders who are intrinsically driven to outperform — it is just how they wake up in the morning. An executive’s performance depends on both her personal competencies and the capabilities, such as systems and processes, of the organization she works for. When she leaves, she cannot take the firm-specific resources that contributed to her achievements. As a result, she is unable to repeat her performance in another company; at least, not until she learns to work the new system, which could take years. 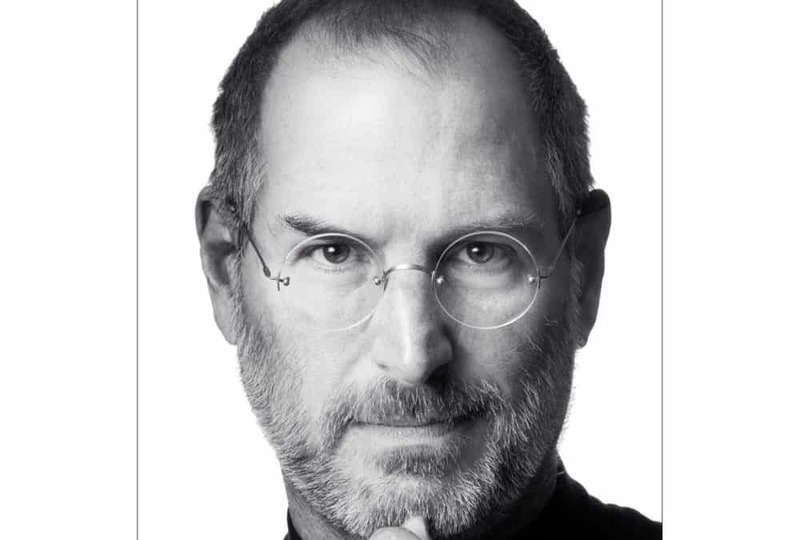 For more insight into Steve Jobs, check our blog post, What Adoption Did to Steve Jobs. As an adult adopted person, I believe his adoption experience is central to his success.